Thank you again for joining us in celebration of this new baby and pre-ordering Cooking to Conceive the Inconceivable. ‘I am so excited to be able to put this into my husband’s hands and say: Look, read this, they got through it with flying colors, so will we.” That’s a quote from a client who read the manuscript of the book. 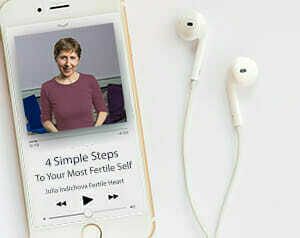 As a bonus for pre-ordering the book by June 17th you will receive the audio program Fatherhood Preferred: Causes, Treatments and Prevention of Male Infertility an interview with Dr. Marc Goldstein. Dr. Goldstein is also the author of the Forward for Cooking to Conceive. We will also be sending you a link to What to Expect and Not to Expect from a Fertility Expert Ebook. Read what the three of world’s most renown fertility experts have to say about your chances of getting pregnant. The links to these two great resources will be sent to you via email after entering your name, email and Amazon Order Number. So make sure you come back to this page and fill in the form with your email and Amazon Order ID to get the goods. Thank you again and here’s to miracles!